This sweater? Its magical. Its okay if you don’t believe that because I believe enough for both of us. It was made years ago by my mother when I was dying. She poured all her love and her prayers into this knitting while I was very, very sick and fighting for my life. I was sick and run down and exhausted and that had been going on for some time. My health was deteriorating but it was doing so slowly and I was half coping with it and half ignoring it. Then my periods stopped. I wasn’t pregnant, every test for that came back negative. My periods had stopped for a much more serious, much scarier reason. Numerous doctor visits and blood tests and examinations by specialists resulted in a diagnosis of Wilson’s Disease. Wilson’s Disease is a rare thyroid disorder in which the suffer has all the physical symptoms of an under-active thyroid (like exhaustion, obesity, low blood pressure) while having very high levels of thyroid hormones in the blood stream. Yeah, I never completely understood how that was possible but that is what the doctors came up with. And I matched that description to a “t”. I was very overweight, I had no energy, I couldn’t fight off the common cold virus, and yet my thyroid levels were sky high. I took the pills they gave me and… everything got much worse. Within a month of this treatment I was also taking nitrate pills to control my blood pressure because I was (all of a sudden) in danger of having a heart attack. I ended up in the emergency room more than once due to “thyroid storms”. My joint fluid started to harden and crystallize and oh-my-God I didn’t even know that was possible. Four months after starting this treatment, I was so weak, so sick, and in so much pain I couldn’t live any kind of a normal life. Some days I couldn’t get from my bed to my bathroom in time and “messed” all over myself. 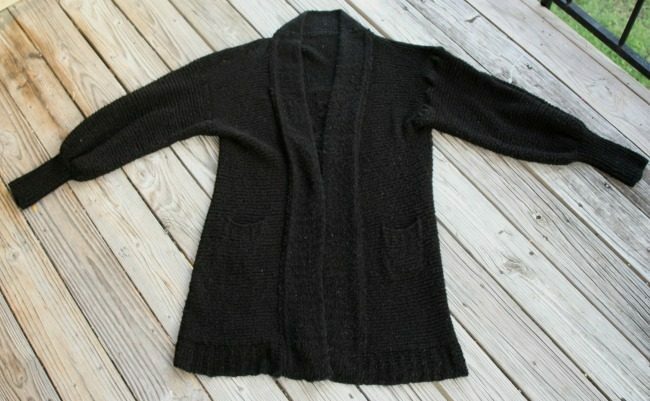 During this very dark time my mother started knitting me a black sweater-coat. She was praying over it everyday. She wanted me to have it in time for my birthday so that I would be protected by the prayers and maybe live long enough to have another birthday in a year. 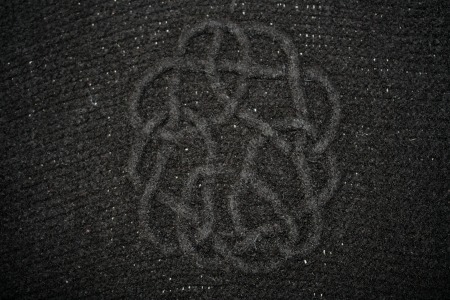 I, of course, didn’t know anything about the in-progress magical black sweater. I was busy loading up on painkillers so I could do things like put on a pair of pants and get myself to work three days a week. But everyday I took the medication that blocked my thyroid from making more thyroid hormone and everyday I got weaker and weaker. When my doctor told me we were abandoning the medication in favor of burning out my thyroid for good with radioactive iodine, I said “wait” and “stop”. He said if I didn’t agree to this radical treatment I had six weeks to six months to live. I said I needed a second opinion. He wasn’t happy about that and told me not to wait too long to make a decision. The nearest doctor for a second opinion was four hours away and I couldn’t get there on my own. I could barely get across town. So I called and asked my mom if she would come out (which was a 8 hour drive for her), spend the night, and then drive me to see this second doctor. Of course she said yes. We made that appointment with that second specialist and it went… very badly. That second doctor was a doctor in name only. He wouldn’t examine me, wouldn’t look at any of my medical records (which I had brought in a three-ring binder), and told me to go back to my first doctor and do what he told me to do. He refused to run any tests of his own and he would not give me a follow up appointment. I fell apart. Completely. I was in so much pain and everything was hopeless. All I could see was a future of pain and exhaustion until my body finally gave out. That’s when my mother said “call that doctor that saved your coworker’s dad”. That doctor was Dr. Suzanne Barry and her office was is a small town that we had to drive though to get back home. I called right there in the parking lot of the non-doctor that had just sent me packing. Dr. Barry’s receptionist told me that they were not taking any new patients, sorry. My mom said something very off-color and told me we were going anyway. And we did. She drug me into Dr. Barry’s waiting area and we sat there until the place closed. When Dr. Barry came out to leave for the day we were still sitting there in her waiting room. I’m going to skip all the details and just say that, no Dr. Barry did not toss us out. That wonderful lady stayed 3 hours after her office closed. She read my file, she examined me, she listened to everything I had to say and then she outlined a new course of tests. One week later I had a new diagnosis: I had a bacterial infection in my GI tract. This infection had beaten my immune system and when that happened my body had started producing high levels of thyroid to keep me going. It was a last ditch effort to keep the Jenn-machine moving. When the specialist gave me medication to shut off my thyroid, I had crashed and the infection spread to multiple organ systems. Yes I was dying but not because of a thyroid disorder. My new treatment? Ten days of antibiotics. No I’m not kidding. That’s all it took to cure me. Of course after all this monkeying around I had kidney, liver, and bone marrow damage and it took me a year to recover from that. But the thing that was killing me? Dr. Barry had it fixed in ten days. About a month after that I got my magical black sweater-coat. It was a bit late, it didn’t make it in time for my birthday. I so did not mind because I was alive and getting stronger. Every day was my birthday. But I grabbed up my new sweater coat and wore it every chance I got. The magical black sweater-coat is… not very attractive these days. As I said above all this happened yeas ago. My sweater-coat is a bit ratty now. I’ve worn it a lot. 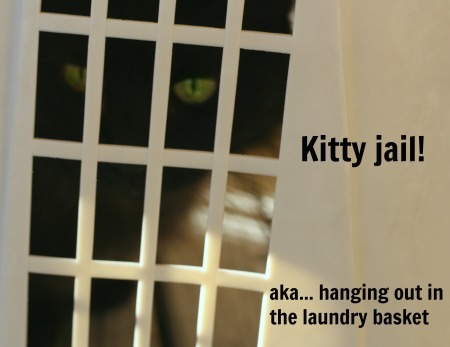 Plus, its made of black wool and picks up every single speck of lint within a four block radius. But its comfy. Its over-sized, has a nice set of pockets, and there is a lovely Celtic knot appliqued on the back. No this sweater did not save my life. Dr. Barry did that. But this sweater has magic in it. It has all of a mother’s ferocious love and prayers and desperation in it. When I wear this sweater-coat, people look at me and smile. People I don’t know see me in this ratty, stretched out, in-no-way-flattering, black sweater and the biggest smile comes over their face. I swear to you I’ve seen it happen over a hundred times. They can see it. They may not know why they are smiling but some part of them can see that I’m wearing a mother’s prayer. I’m telling you, this hand knit sweater coat is full of magic. I’m going to wear it until it just fall apart. Sorry I haven’t written much this week. This post was hard to write. I wanted to write it. I’m glad I finished it. 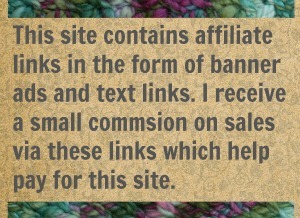 I wanted to share this story of the power of knitting with the world. But going back to that part of my life was tough and I had to stop frequently to, well, to cry. It took me days to get all of this written. Silly I know but its the truth. I can only face those painful memories for a short while and then I have to get up and do something else. (Btw, I’m exactly the same way when I have to do my income taxes.) I hope it was worth the wait. 84 Comments on "I Believe in the Magical Sweater"
That was a beautiful story.. I can only imagine how hard it was for you and your Mom.. I am glad you found Dr. Barry and she was willing to help you. That is rare and lovely. I hope the Magic Sweater will last forever… and I know why they are all smiling it is because you feel the prayers and love that was knitted into it!!! Thank-you. I’m glad you and so many others have read this story and found the beauty in it. You are very right, I fell loved when I wear my old black sweater coat. I feel very grateful for all the good things in my life. And I feel the power of love. Bless you mother for her love, determination, and extreme knitting skill. Make that sweater last forever…even if you have to felt it to keep it together. You’re right. It’s magic. Mom is a decent knitter and a terrific mother. That old threadbare sweater she made for me is one of my most precious possessions. Hope this story reaches many parents and many children (of all ages). Oh, Jen! That was a wonderful, worth-the-wait story that truly tugged at my heart. Your Mom is a wonderful woman. When bad things like this happen having a warrior like your Mom in your corner is the magic and it spilled over onto the sweater she knitted for you. My mom really something. She was there when I needed her most and I feel her love every time I wear that old sweater coat. It was a hard time and I freely admit to being miserable and terrified but it taught me to never take the blessings of live and love and family for granted. I hope every one who reads this goes out and hugs some one. Moms make miracles. What a good way to put it for they certainly do. I’m happy to have (finally) gotten this story out and shared it with so many. The things that happened to me in that scary time of my life taught me what’s important and what’s just a waste of our precious time. Yes, absolutely. Never, ever take one doctor’s opinion as truth. When a diagnosis or treatment feels wrong, it probably is. The sweater coat did miss my birthday and my mother, my amazing and foolishly emotional mother, felt guilty about that. Really I didn’t feel slighted at all. She had stuck by me when I needed some one and literally carried me when I couldn’t walk. I didn’t need a magical black sweater to know that my mom loved me.